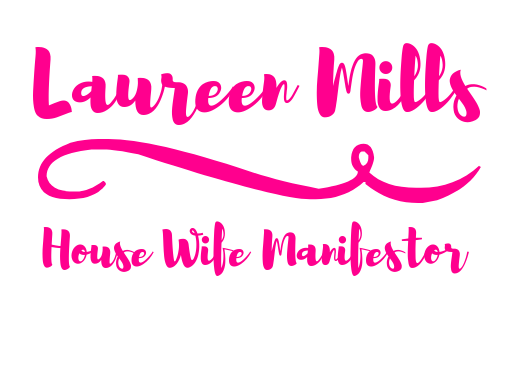 Hi there lovely people my name is Laureen and I’ve started this blog to share my experiences with the Law Of Attraction! He used to call me names, yell, put me down and pull me apart any chance he could. He judged my weight, appearance, opinions, my family and everything that I held dearly. I was completely trapped and isolated, I felt like there was no salvation or chance of freedom. My whole life consisted around my husband, I felt like a slave to him and leaving didn’t feel like a possibility either. This was the lowest point of my life, I accepted the abuse and became a victim to the person that said ‘I love you’. Around 2011 was when my life made a complete U-turn. One night I was watching CNN with Larry King and he was speaking to Oprah Winfrey about the Law Of Attraction. At the time I had no idea what the hell they were talking about but I was hooked straight away. Oprah talked about her hard upbringing, she said her family was so poor that she had to wear a potato sack as clothes! Not only that but she suffered sexual abuse from family members and other people around her too. I couldn’t believe someone that came from nothing could be so positive and inspiring! After seeing that interview I immediately felt inspired and it changed my life forever. Now that I think about it, I believe it was the universes way of showing me the light in the darkness. So I started to learn more about the Law Of Attraction, I picked up the book called ‘The Secret’ and that’s where I noticed a shift in my energies. At first, it all felt like a dream, could I really leave this man once for all and finally be happy with myself? Each day I would study The Secret religiously, I turned my studies into a ritual. I learned the power of affirmations and how important it was to visualize. Every day I noticed a positive change in my energies. It all started from glimmer of hope to a real-life manifestation! My energies worked like a snowball, once I went off I couldn’t stop! Feelings of hope and optimism began to drown out my fears and doubts about myself, I started to love who I was. It did take me a while to muster the courage but I did it! Today I am happy, I am free. I escaped a life of fear and misery. Over the years I have successfully manifested many amazing things including my dream husband who treats me right! I would like to share my journey with you all on this blog on how I manifested a better life for myself, to help others do the same! I believe in the Law Of Attraction, it works if you believe it. It’s time to start attracting greatness and I’m here to help!